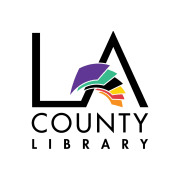 One of the largest and most innovative library systems in the US, LA County Library is dedicated to reducing barriers and increasing access to and equity of public services for all. Continuing its efforts to serve as a center for lifelong learning, the Library is expanding its adult literacy services to include a new in-person tutoring program that will help adult learners improve their reading and writing skills in a one-on-one or small group setting, free of charge. The goal of the program is to increase adult learners’ self-sufficiency, helping to ensure their future personal, academic, and professional success. We are currently seeking volunteer tutors for our East Los Angeles Library location. Volunteers should be able to commit 3 to 4 hours per week for a minimum of 6 months. As all shifts will take place at the Library, they must fall within Library hours, but tutoring sessions are flexible, based on your schedule. If you are selected as a tutor, LA County Library will provide free in-person and online training and tutoring material. Meet new people and improve your teaching skills while helping adults with their literacy skills in a tangible way. We are excited to partner with you!